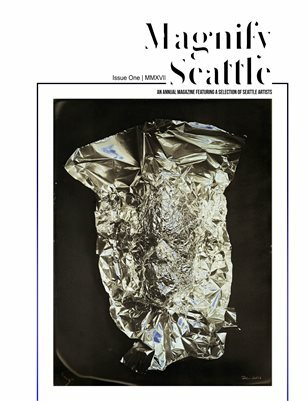 Magnify Seattle is an annual magazine featuring Seattle artists. Featuring: Carson Allmon, Daniel Carrillo, Julie Devine, Zak Helenske, Erin Hovland, Melinda Hurst Frye, David Hytone, Lindsey Jensen, Iskra Johnson, John Keatley, Mya Kerner, Melissa Mc Clain, Colleen E. Monette, Anne Siems, Renata Steiner, Uyen Tran-Gjerde, Nathan Watkins. The 2017 issue is proudly self-published and curated by Meggan Joy.